The Midwest Music Foundation along with the RockDocs, a collaboration of University of Kansas and the Community Health Council of Wyandotte County, present a Free Musicians’ Health Care Clinic that will offer information, screenings, wellness/smoking cessation programs, opportunities to discuss heath conditions/concerns and arrange follow up visits. Colon Cancer screening test kits will be provided to those that qualify through a generous grant from the Colon Cancer Coalition. Get Your Rear in Gear – Kansas City will be on site with more information and the infamous #stolencolon will be there! Bill Rogers, Physical Therapist, Orthopedic and Geriatric Clinical Specialist will be available to consult and help triage musculoskeletal problems. There will also be representatives from Narcotics Anonymous on hand with information. Truman Medical Center (www.trumed.org) will be at the clinic from 12-3. Truman Medical Centers is an academic health center providing accessible, state-of-the-art quality healthcare to our community regardless of the ability to pay. 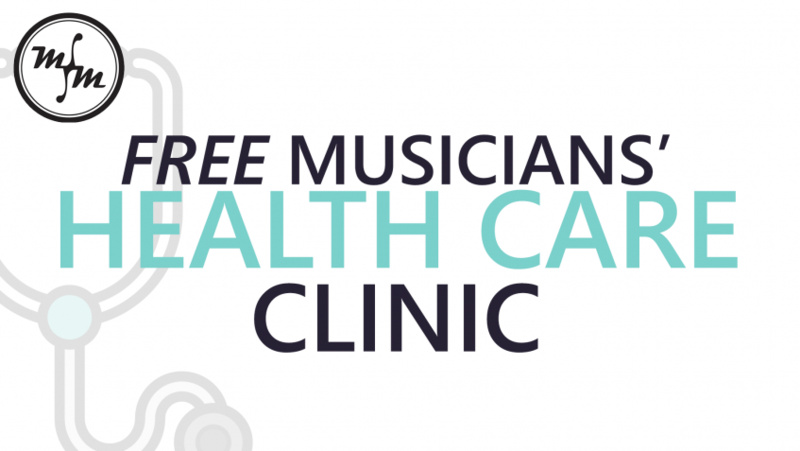 Priority will be given to musicians/music industry personnel, but the clinic is open to anyone. Karen Carmack of Wholehearted Wellness will be offering free chair massages. First come, first serve. In addition, the Midwest Music Foundation is providing custom earplugs to the first 20 qualified musicians/music industry personnel to apply. Impressions will be done by AudioGirl Consulting. Contact HERE for more information and to schedule an appointment. Appointments are highly recommended, but walk-ins will be accepted as time permits.